SoundHarvest Announces Saturday’s Set Times! 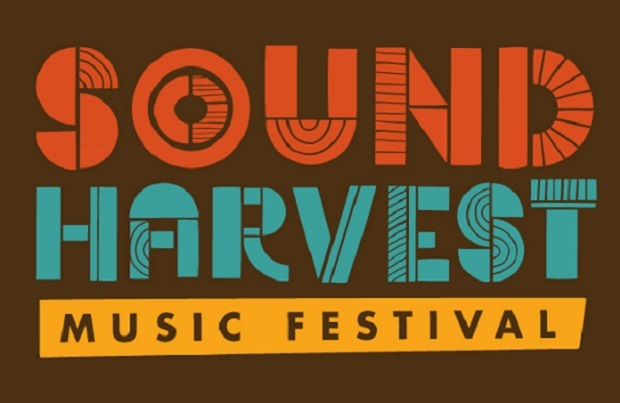 SoundHarvest Music Festival takes place this Saturday Oct. 17 at Centennial Park, and set times have just been released. The fest features sets from The Flaming Lips, The Weeks, Allen Stone, Benjamin Booker, and The Last Internationale, Scotty Bratcher and Goodbye June, and that’s just the Main Stage. 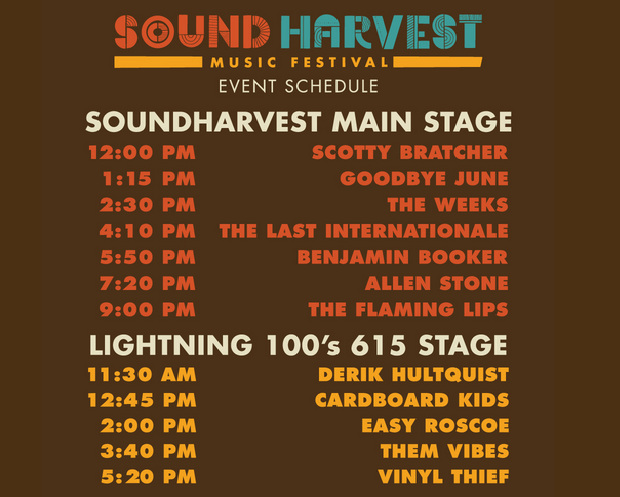 Lightning 100 is also hosting a 615 Stage that features all locals including Vinyl Thief, Them Vibes, Cardboard Kids, Derik Hultquist, and, the winner’s of our Homegrown Harvest competition, Easy Roscoe! If you haven’t already, grab your advance tickets for $45 (it’s $55 at the door) or VIP tickets for $100 advance ($150 at the door), and head below for some media from each of the latest local additions. Our pals over at Lightning 100 & Blue Moon are offering a $5 discount if you enter promo code “BLUEMOON”.